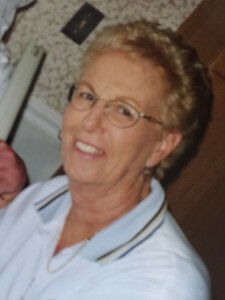 Katie Alma Francis of Warrington PA, age 79 passed away on May 12, 2015 at the Artman Lutheran Home in Ambler Pa. She is survived by her loving husband, James Francis Jr, her four children William Lapp (Patricia) of Buckingham PA, Susan Lapp-Weidner of Warminster PA, Karin Lafferty (Ryan) of Jenkintown PA and James Francis (Stacey) of Merion PA. She was very much loved by her 13 grandchildren Kristin, Brian, Melissa, Jennifer, Kelly, Sarah, Gavin, Cade, Tanner, Gertie, Maloy, Shayna and Noah. She was a loving great grandmother to Michael Jack. Alma was the daughter of Oswald and Kitty Larson from Sweden. She grew up in Wildwood NJ and graduated from Wildwood High School in 1953. It was during those years that she developed her absolute love of music and “the best beach in the world.” She was always active in the church. She sang in the church choir for over 60 years and volunteered for many years as substitute organist. She was a volunteer organist and piano player/sing along hostess at Artman Lutheran Home as well as a piano instructor to a number of young persons. Besides family and music she was a long time volunteer for the American Red Cross Blood Drives in Bucks and Montgomery Counties. Alma and her husband were members of the LuLu Country Club in North Hills PA for 35 years and members for many years of the Sea Pines Country Club in Hilton Head Island, SC where they maintained a second residence. Family and friends are invited to remember Alma Wednesday May 27th at 1pm at Christ’s Lutheran Church, 700 Pennsylvania Ave in Oreland PA. A memorial service will follow at 2pm. Interment will be private. Gifts in Alma’s memory can be made to Christ’s Lutheran Church 700 Pennsylvania Ave, Oreland, PA 19075 and/or The American Red Cross 2300 Chestnut St. Phila. PA 19103. So sorry for the loss of your beautiful Mother. We send you our thoughts and love from our hearts. So very sorry for the passing of Alma, who surely will be greatly missed by her family and friends. Our hearts go out to you all. I am so sorry for the loss of your dear Mom. Condolences to you & all who loved her.